$38,205 x 72 Months @ 4.99%, 5.10% Effective APR (cost of borrowing $6,041). 19 inch Aluminum Wheels , SiriusXM, Driver Seat Memory System, Power Seat , 8-way Power Adjustable Driver Seat! This silver sky metallic SUV has an automatic transmission and is powered by a 203HP 2.5L 4 Cylinder Engine. Our RAV4's trim level is XLE. Upgrading to this XLE makes for a more luxurious drive. A sunroof, heated leather steering wheel, voice controls, power driver seat, dual zone automatic climate control, a smart key with push button start, power liftgate, fog lamps, and rain sensing wipers are added to steering wheel audio control, heated bucket seats, power windows, rear privacy glass, rear window defroster, acoustic windshield, rear view camera, and keyless entry. You even get aluminum wheels. This is on top of the standard infotainment that features a 7 inch display with USB and aux inputs, Entune App Suite Connect, GPS subscription service, Apple CarPlay, Bluetooth, and a 6 speaker sound system. For safety and convenience, you get an impressive array of airbags, LED daytime running lights and rear lamps, foldable heated power mirrors with integrated turn signals and blind spot convex spotters, automatic highbeams, blind spot monitoring with rear cross traffic alert, a pre collision system with pedestrian and bicycle detection, adaptive cruise control, and lane keep assist with lane and road departure warning. 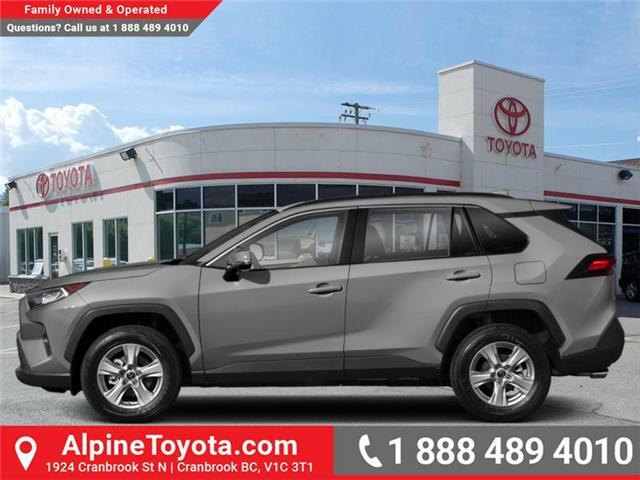 This vehicle has been upgraded with the following features: 19 Inch Aluminum Wheels , Siriusxm, Driver Seat Memory System, Power Seat , 8-way Power Adjustable Driver Seat. 8-Way Power Adjustable Drivers Seat w/Memory System Includes driver seat power adjustable lumbar support, recline/incline, variable cushion height and fore/aft. Radio: Entune 3.0 Audio Plus Includes Entune App Suite Connect including traffic incidents, weather, Slacker, Yelp, sports, stocks, fuel prices and NPR1 (no subscription required), Entune Safety Connect with automatic collision notification, stolen vehicle locator, emergency assistance button (SOS), and enhanced roadside assistance (3 year subscription), Scout GPS Link (3 year subscription), works with Apple CarPlay, shark fin type antenna, 6 speakers, 8" display screen, Sirius XM, audio auxiliary input jack and 1 front USB audio input. Wheels: 19" Aluminum Alloy Tires: P235/55R19 All Season Includes compact spare tire (T165/90D18AL).